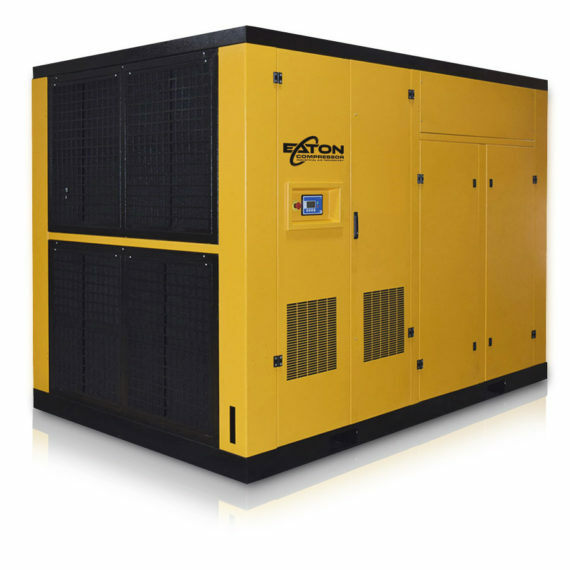 Each and every one of our rotary screw air compressors is built to exacting standards, to provide years of reliable service, under demanding conditions. And because we use only high-quality brand-name components, we offer a full ten year warranty, on all of our rotary screw air compressors. This 5 HP rotary screw air compressor offers many features, including a PLC that will allow for easy and intuitive scheduling and operation. 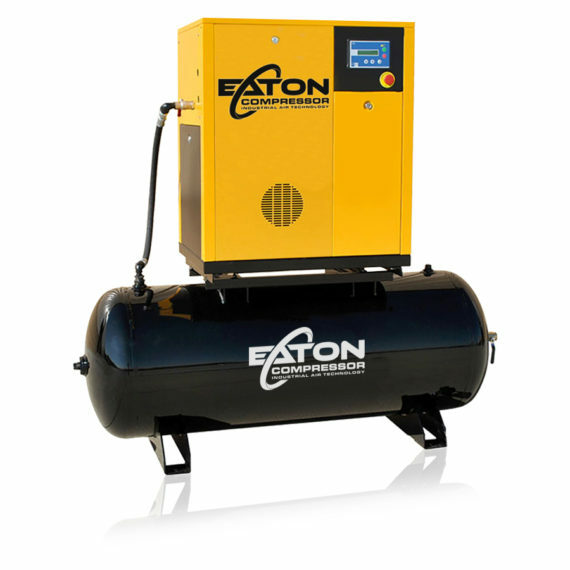 Paired with Eaton Compressor’s world-class customer service, after the sale, we’re confident this air compressor will meet your compressed air needs for years to come. 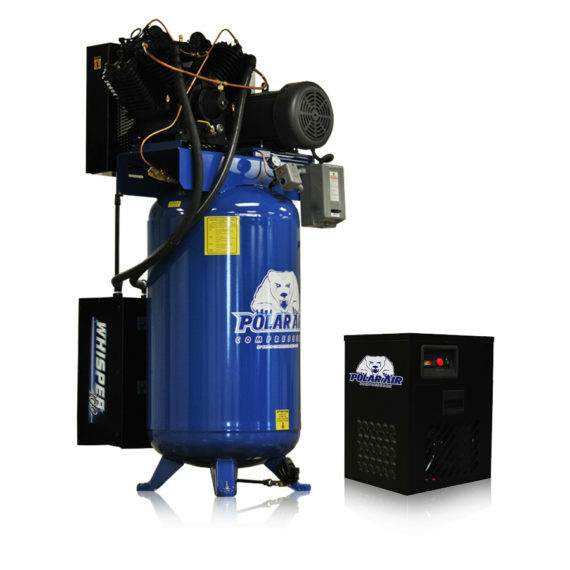 Polar Air, by Eaton Compressor, backs all of our rotary screw air compressors with the best warranty in the industry – a full 10 years – and it is NOT pro-rated. Make sure to research and ask questions, when comparing warranty information. Be certain, when you buy, that you are getting a FULL warranty. A Pro-Rated warranty means that, the older the compressor gets, the more risk that you may have to pay out of your own pocket should it need repair. With our warranty, we don’t ask you to buy a service plan, or extended warranty – we just ask that you purchase and use our oil and filters. This ensures the correct oil and filters to keep your rotary screw air compressor running for years to come. Our trained service and support team is ready to assist you, if you ever need them and we carry a full line of air compressor replacement parts. A rotary screw air compressor is the most efficient in variable speed applications. 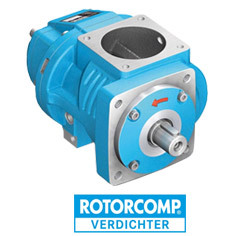 Rotary screw units do not depend on centrifugal force to operate the compressor, like a vane type compressor. A vane-type compressor depends on the high RPM to slide the cylinder vanes to create compression. 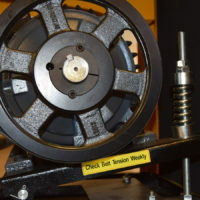 When pump speeds are reduced, a sliding vane pump loses RPM and its centrifugal force to operate, yielding more leak paths and lower performance, at lower pump speeds. Vane-style compressors also lose efficiency in higher PSI ranges. A rotary screw pump has a fixed rotor and yields more CFM efficiency, at higher pressure ranges, up to 218 PSI, if needed. Adjust Pressure to the range you need. 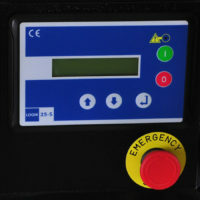 In addition, this unit has an automatic shutdown, in the event it goes over pressure. 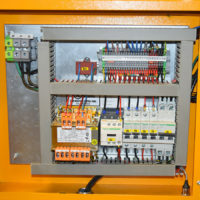 Because the unit has a maximum pressure setting, the PLC will sense that it is going over pressure and will shut down. 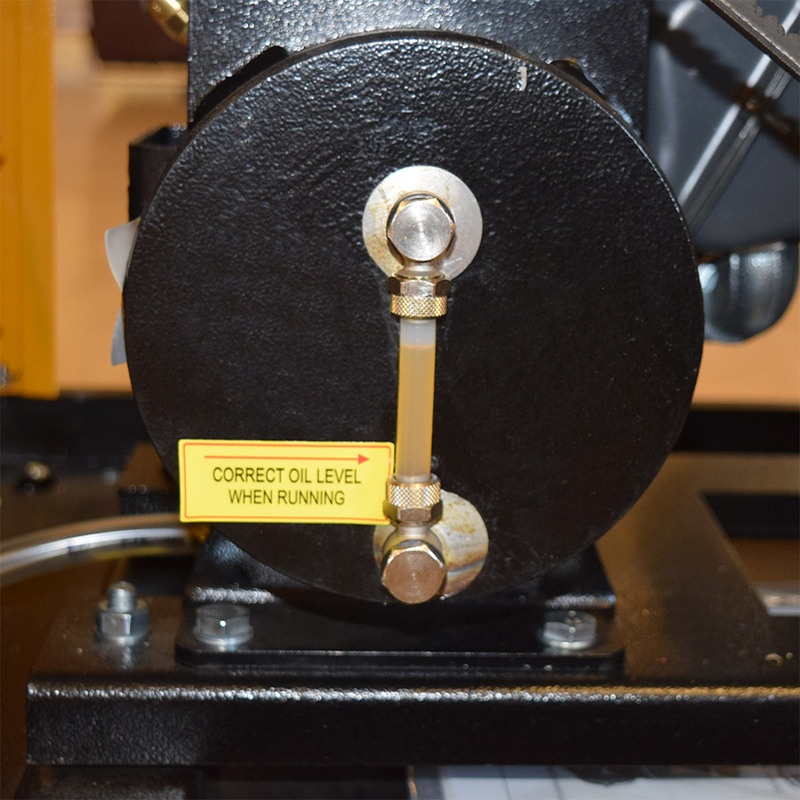 Low Oil Shutdown – if the controller senses that the unit is going into high temperature, it will shut it down. It will also shut down if the compressor runs low on oil. Reverse Fault – the controller will determine, when the unit is wired up, if it is in reverse rotation fault and shut the unit down. High Voltage Fault – if the voltage is 15% over the power supply voltage, rated on the Polar compressor data plate, the unit will shut down. As well, if the voltage is 15% under what it should be, the unit will shut down. 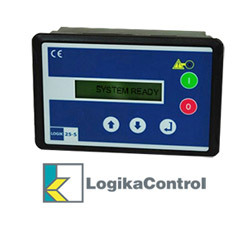 Parameters – has a maintenance parameter system to create and maintain the parameter and control information. Fault History – the PLC stores history, if the unit shuts down, and can provide information on why the unit shut down. Maintenance Service – keeps track of when to change the air filter, oil filter and the coalescing filter, along with a schedule of when the unit needs greased. When any of these issues need addressed, the PLC will sound an alarm. After addressing the maintenance issue, you simply reset that element back to zero and start the maintenance tracker again. Air Differential Control – with differential control, you have a wide range of pressure settings. 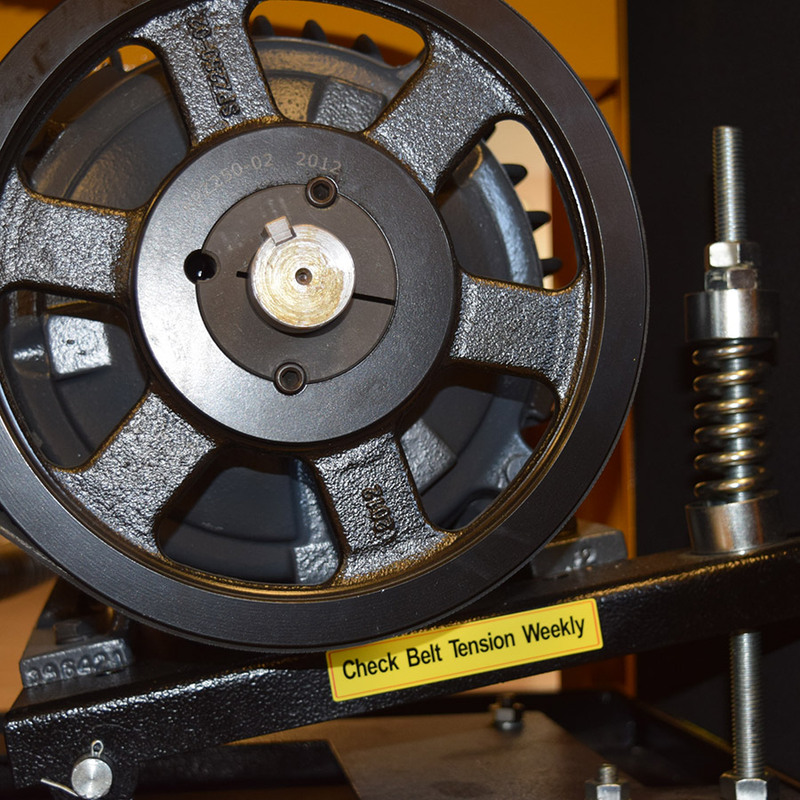 You can take the kick-in pressure all the way down to 100 PSI and all the way up to 145 PSI. You can also adjust this range anywhere in between. The Polar Compressor is factory-set at 120 kick in and 145 kick out. 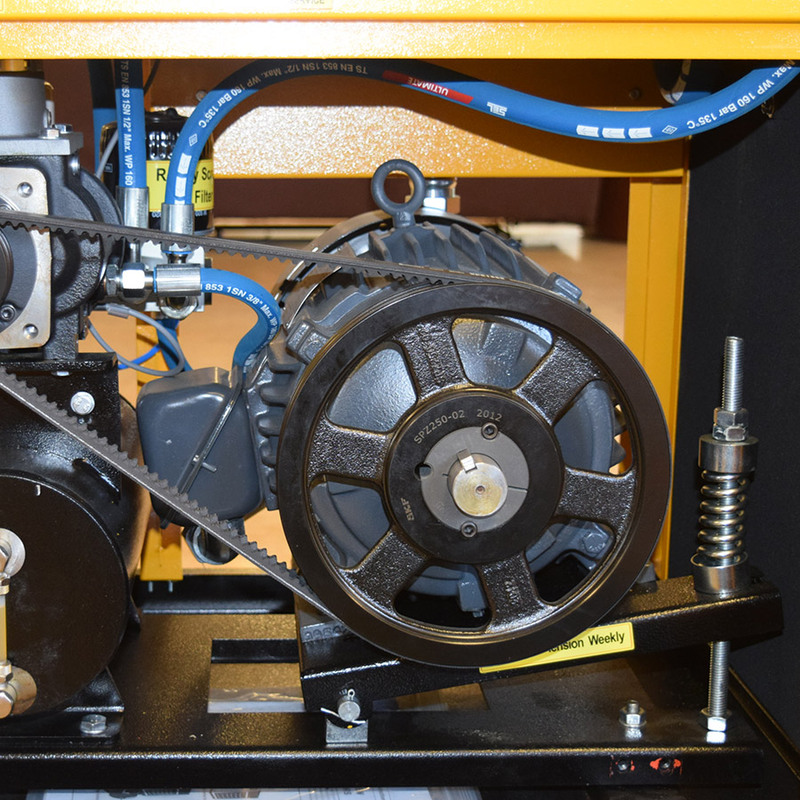 The lower the pressure, the higher CFM and the more hours you will get on your rotary screw air compressor, so keep the pressure as low as possible. 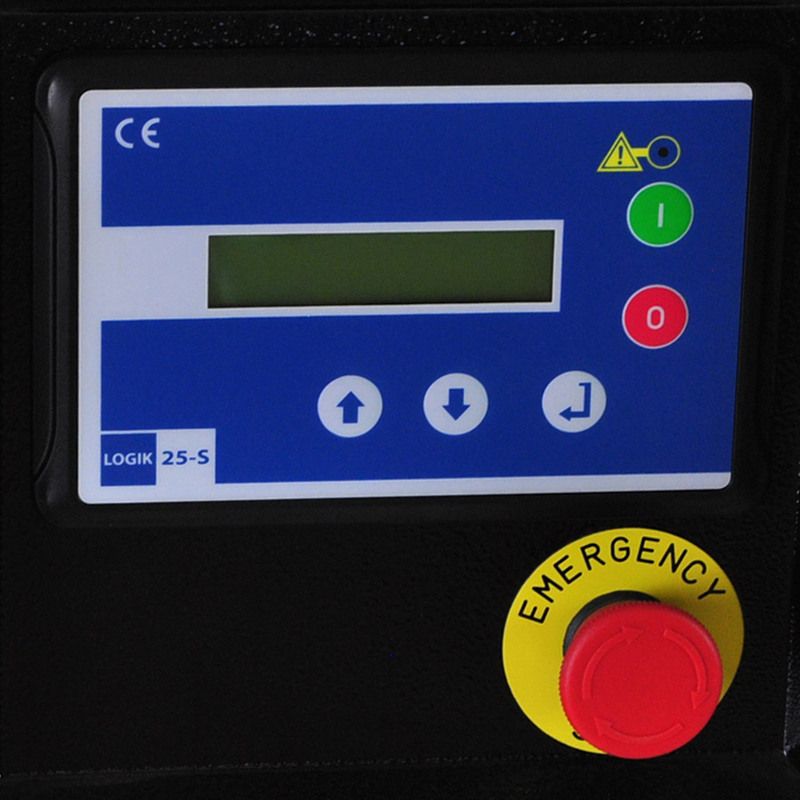 Built in Timer – this component will sense when the unit is not being used for a period of 20 minutes, under no load. This will shut down the machine, automatically, and it will restart, as air pressure goes down, to the kick-in set point. Online Demand – this setting is made for high volume and will bypass the automatic kick-off mode. It allows the unit to keep running on continuous run mode for high air demand. 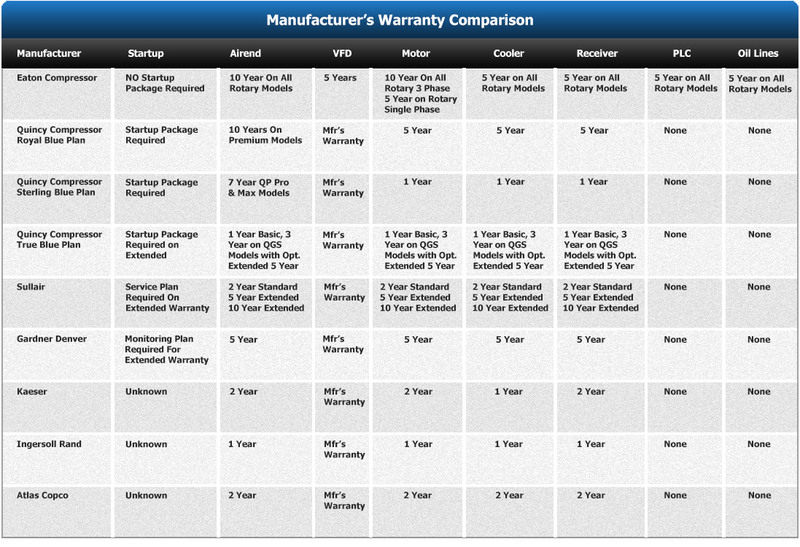 Warranty – these PLCs carry a 5 year warranty. Daily / Weekly Schedule – this unit can be programmed to start in the morning, can shuts itself off at lunch, if needed, and can turn itself on based upon a pre-programmed schedule. 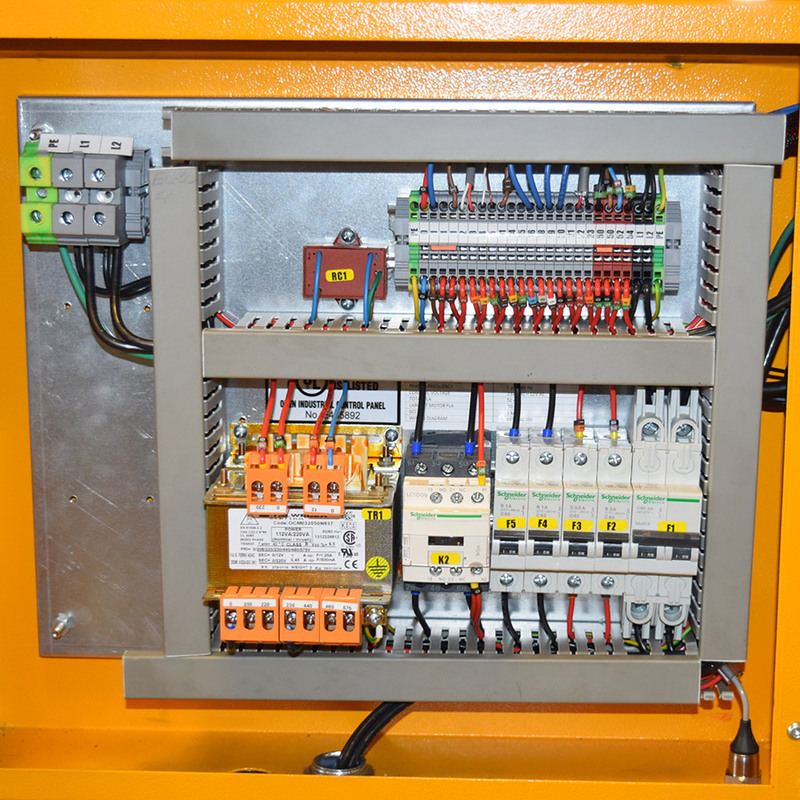 Self Start – if power is lost, this unit will automatically restart itself, this eliminates a maintenance crew to have to restart it, after the shut down. Master Slave – this controller can switch from one unit to the other and maintain the same use of hours. It can also adjust the pressure to be the lead or the lag unit. Our rotary screw air compressors offer 100% duty cycle which means that you can operate your compressor 24×7 without the need to shut it down to avoid overheating. 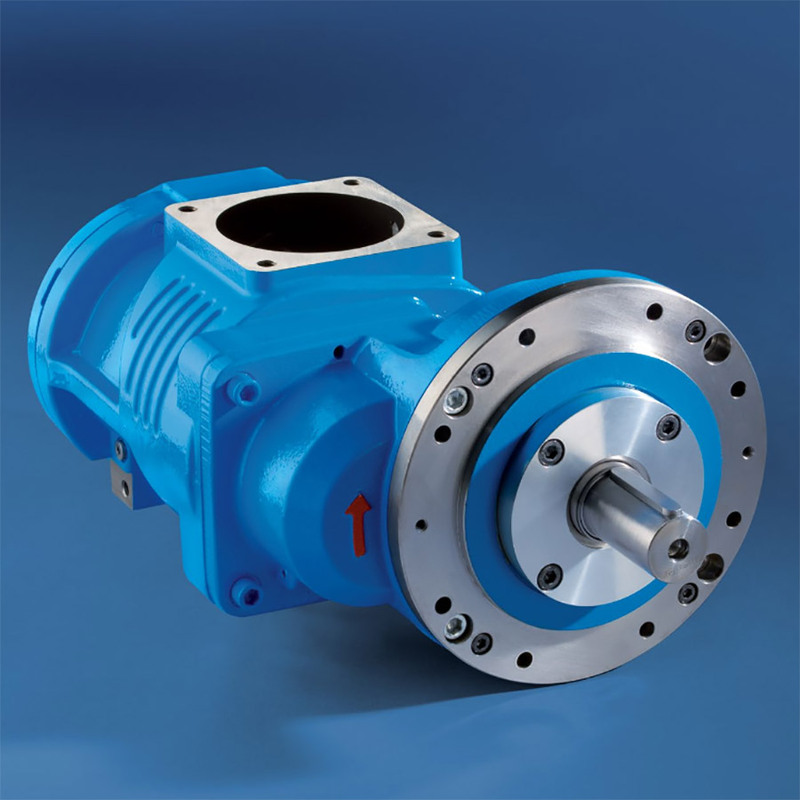 These high-efficiency pumps are more expensive to utilize in our manufacturing process but the years of dependable service they provide is worth the additional investment. We have thousands of satisfied customers across the country who agree. Most rotary screw air compressors, on the market, are only good for 20,000 to 40,000-hour pump bearing life spans. Rotorcomp pumps are good for up to 100,000 hours on the pump bearing life. 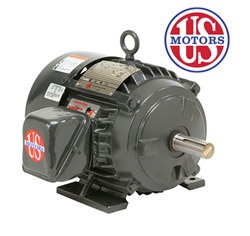 We use US Motors brand electric motors that meet or exceed National Electrical Manufacturers Association (NEMA®). 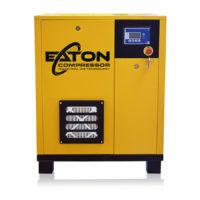 This helps save money, due to increased energy efficiency over other air compressors on the market. 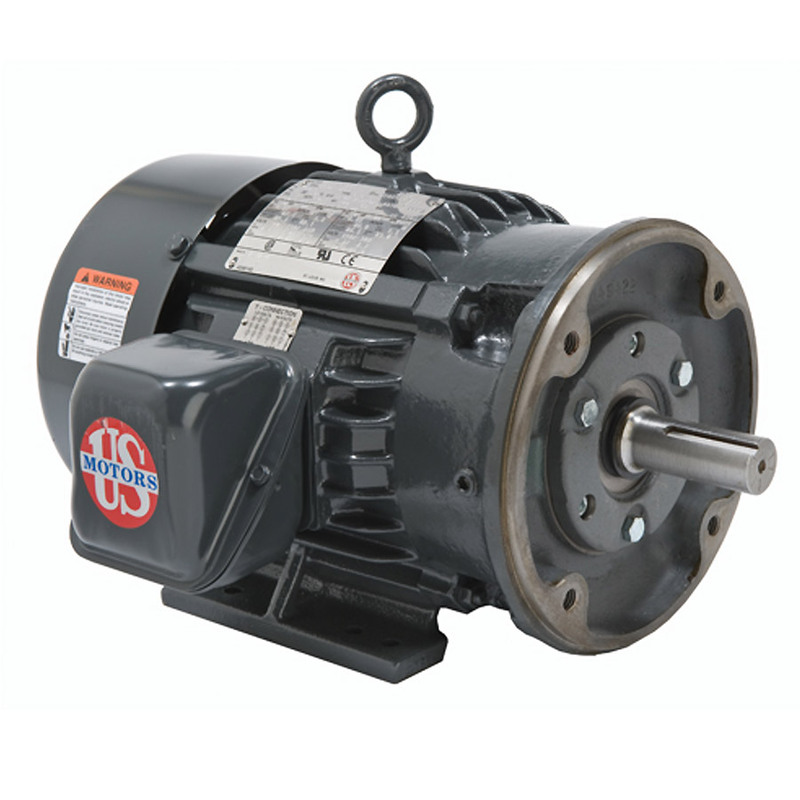 Motor is not only built with a larger conduit box for easier connection, it has superior sealing for better environmental protection. Full cast iron construction is more robust than the standard rolled steel, ensuring reliability in extreme duty applications. With longer fins for better cooling., the motor runs at a lower temperature, increasing the life of the winding insulation. A cooler running motor delivers higher efficiency. 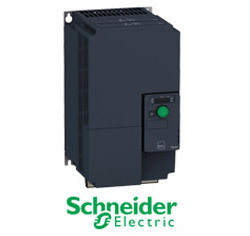 Manufactured by Schneider Electric, our switchgear and variable speed drives are UL/CSA compliant. Schneider contactors are used for Y/Delta soft start, saving our customers up to 33% in energy costs during startup. Schneider variable speed drive option gives our customers up to 7X starting amp savings and up to 40% savings while the unit is in operation. With a global presence in over 100 countries, Schneider Electric is an industry leader in Power Management – Medium Voltage, Low Voltage and Secure Power and in Automation Systems, providing integrated e efficiency solutions, that combine energy, automation and software to deliver comprehensive energy-saving solutions. 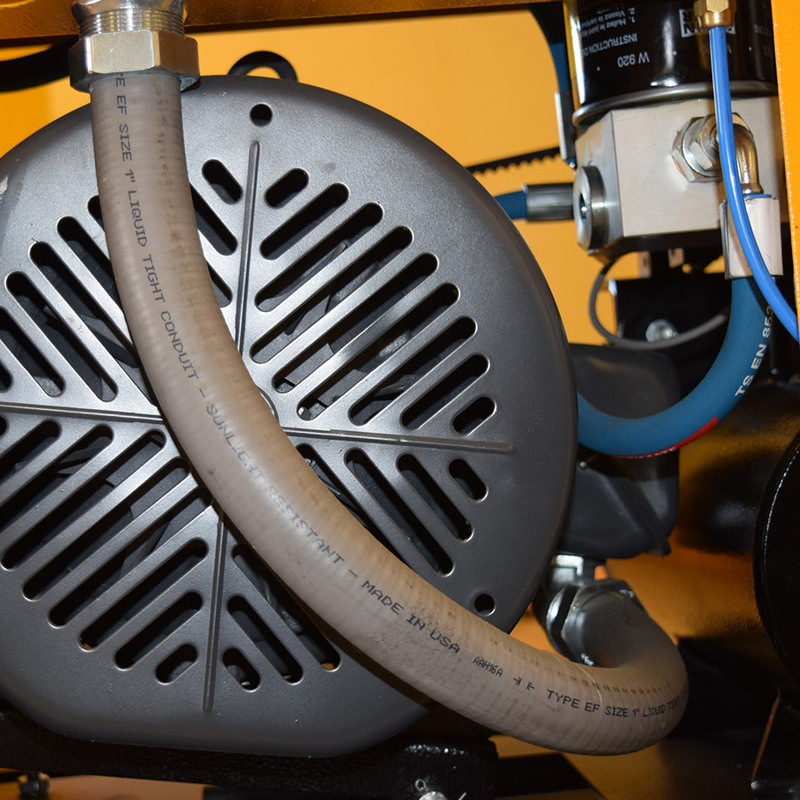 The Air-end is an integral part of a rotary screw air compressor, but is does not work alone. The outside air is brought in and filtered, before it hits the inlet valve, to ensure it is receiving clean air. The inlet valve regulates the amount of air that is drawn in by the rotary screw. When the valve is in a loaded state, it is compressing air and pumping it into the air-end. When it is in an unloaded state, it shuts off the air supply, so the motor and screw are turning, but not taking in air, and not pumping any air to the system. Our VMC inlet valves have a counter-weight, which ensures a fast, tight close, when the air flow is reversed. This load and unload system means greater energy savings as well. 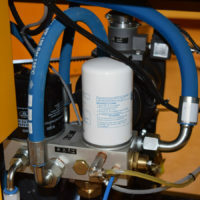 When running the compressor in the unloaded state, it allows the compressor to store more air than is being use (a storage tank must be used in this case). The larger the storage tank, the longer the no-load cycle time, which increases savings. This unit will save you a significant amount of money on your electric bill because, under start up, the modulator valve is completely closed. This closes the air off to the screw intake, making low load under start up. After the unit gets started, it has a 12-secound time delay. This allows the unit to begin running for 12 seconds, before it starts pumping air. This no-load startup will extend the life of the magnetic starter contractor and motor, because of low amp draw. 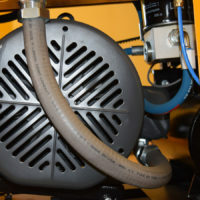 Filters help protect the compressor from wear and damage. It is the most inexpensive way to prevent potentially costly repairs. It is vital that these filters are replaced and inspected on a routine basis, as it reduces the chances of component and air-end contamination. Not changing the filters, on a regular basis, decrease the energy efficiency of the compressor. We use only genuine Mann Filters. These Filters are not exclusive to us, therefore, after your warranty is up, you will still be able to find these parts. Mann Filters are made with exceptional quality and provide optimum protection against harmful elements. 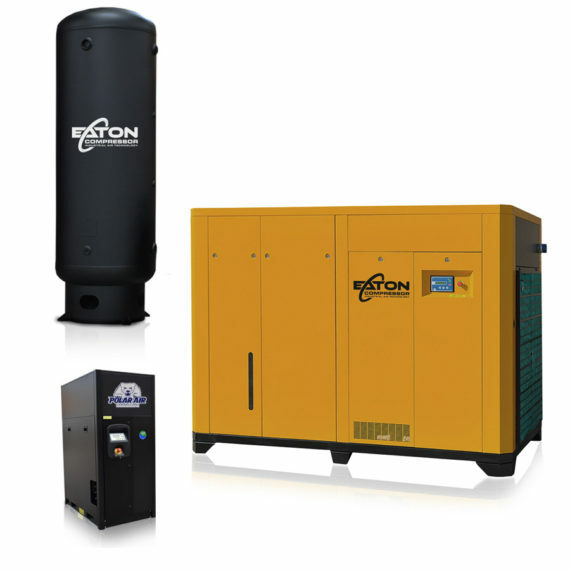 Our rotary screw air compressors also have Pre-Filtration, on the outside of the cabinets. 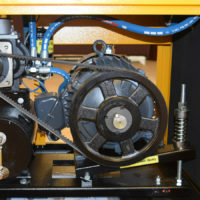 Although this is an upgraded feature, it is one that is well worth the cost to extend the life of your compressor. 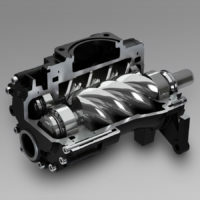 Even in environments that are not particularly dirty, the build up, over time, can be damaging to the system and negatively impact the performance of the compressor. Ask about adding a Pre-filter Kit to your system, to save even more money.